By the time Matthias was in seventh grade, he felt he’d better belong to some group, lest he be alone and vulnerable. The punks and anarchists were identifiable by their tattoos and hairstyles and music. But it was the skinheads who captured his imagination. They had great parties, and everyone seemed afraid of them. “They really represented what it meant to be a strong man,” he said. What draws young men into violent extremist groups? What are the ideologies that inspire them to join? And what are the emotional bonds forged that make it difficult to leave, even when they want to? Having conducted in-depth interviews with ex–white nationalists and neo-Nazis in the United States, as well as ex-skinheads and ex-neo-Nazis in Germany and Sweden, renowned sociologist Michael Kimmel demonstrates the pernicious effects that constructions of masculinity have on these young recruits. Kimmel unveils how white extremist groups wield masculinity to recruit and retain members—and to prevent them from exiting the movement. Young men in these groups often feel a sense of righteous indignation, seeing themselves as victims, their birthright upended in a world dominated by political correctness. Offering the promise of being able to "take back their manhood," these groups leverage stereotypes of masculinity to manipulate despair into white supremacist and neo-Nazi hatred. Kimmel combines individual stories with a multiangled analysis of the structural, political, and economic forces that marginalize these men to shed light on their feelings, yet make no excuses for their actions. 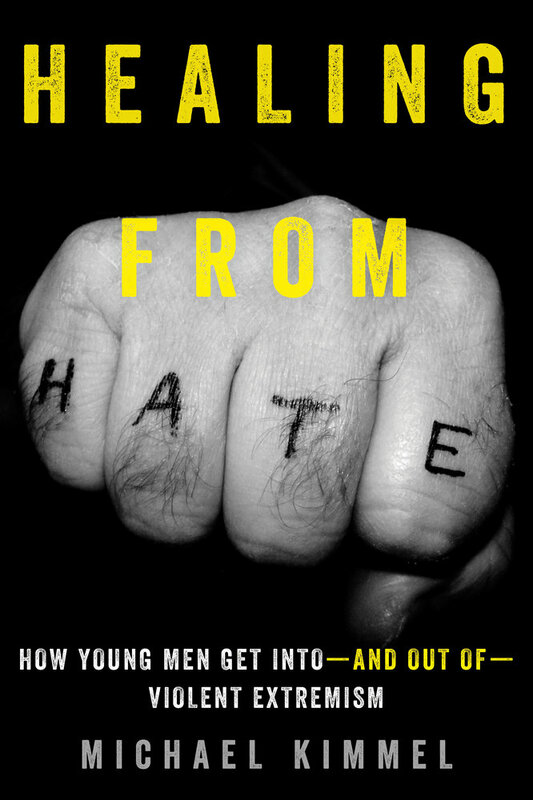 Healing from Hate reminds us of some men's efforts to exit the movements and reintegrate themselves back into society and is a call to action to those who make it out to help those who are still trapped. FRANKIE: "BORN TO BE WILD"